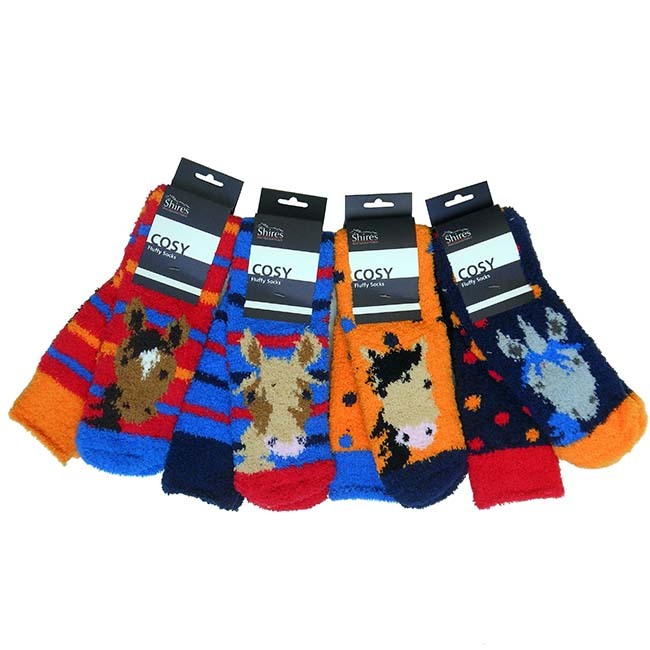 Kids will love these Shires socks! They are the perfect pair of fluffy socks; cosy, warm, and super soft. The Fluffy socks with the bright stripes or polkadots, and contrast heel and toe are gret to keep the little feet warm in shoes or just laying on the cauch.